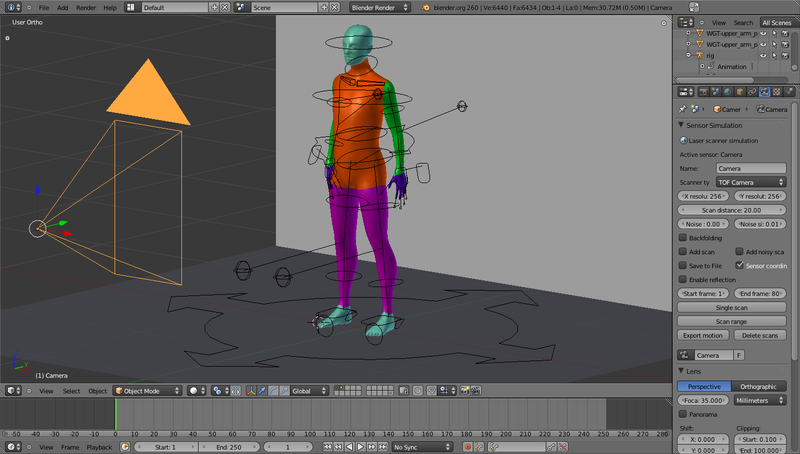 The model in these scans was modified from this http://www.blendswap.com/blends/characters/basemesh-rigged model. 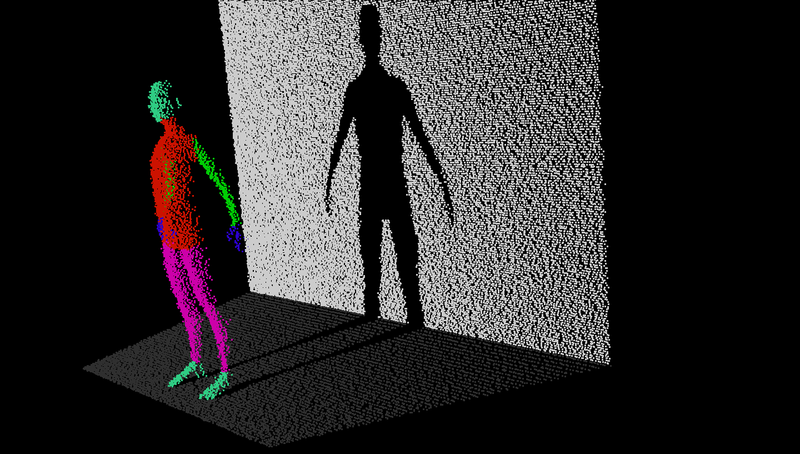 These scans are of a human model in front of a wall. The individual parts of the body were colored differently.